The Ukrainian Orthodox Church has no reason to change its name. Probably, MPs when adopting bill No. 5309 on renaming the Church, meant someone else, because this law has nothing to do with the Ukrainian Orthodox Church. This opinion was expressed on Thursday, December 20, by the head of the Synodal Information and Education Department of the UOC, Archbishop Klement (Vecheria) of Nezhin and Priluki. According to Vladyka Klement, the UOC has no reason to change the name and it does not need to react to this law at all, since according to its Charter, registered by the state, the governing center of the Ukrainian Orthodox Church is based in Kiev, the Church is governed by the Holy Synod, the Bishops’ Council and the Local Council of the UOC. “According to all available legal documents that have been valid since long ago and were registered even earlier than the Verkhovna Rada appeared in independent Ukraine, we have no liason with the aggressor state in legal, administrative, economic terms. We received the Tomos on independence back in 1990,” the Archbishop emphasized. 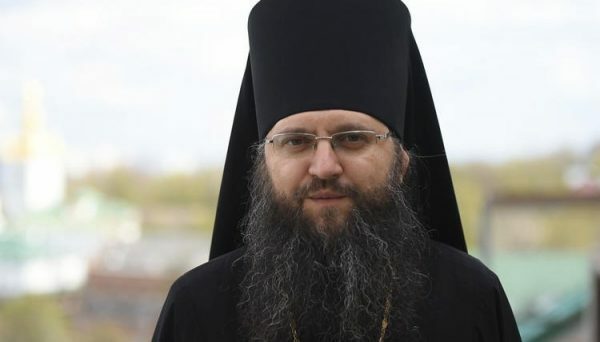 As the UOJ reported, Archpriest Alexander Bakhov, head of the Law Department of the UOC, said that any attempts on the part of state authorities to force a religious association (the Church) to change its name are illegal and violate international law. The Law Department of the Ukrainian Orthodox Church addressed President of Ukraine Petro Poroshenko with a request to veto this law.